I get many questions from bloggers that are trying to grow their blogs and at the top of that list is how to make money blogging. When I first began blogging I was looking for a way to make money from home. I wasn’t one of those people that were starting blogs to hold themselves accountable or keep an online journal for the family. While there is nothing wrong with that, that wasn’t me. I was trying to find a way to earn a living from home. Pure and simple. This post is going to dive deep into ad revenue and how to make the most money with ads on your blog. Before we dive in there is one thing you must have before you can make any money. If you want to make a living with your blog then you need to make sure that every single thing you put out there is high-quality content focused on helping people. After all, that is the backbone of any successful money generating site. When most bloggers start with site ads they usually begin with Google Adsense. This is where you specifically place 1-3 ads on your site that are targeted to site content and audience. These advertisements are administered, sorted, and maintained by Google. You are given a code for the ads that you will need to place on your site. As your audience and pageviews begin to grow you will want to look for an ad management company. Partnering up with an ad management company is an exciting time. A chance to make a good passive income while you continue to grow is the first step on the path to a full-time income in the blogging world. How this works is, as a reader visits your site they will be shown a selection of ads from various advertisers. Some ads will give you money for clicks, meaning a reader clicks the ad to find out more. Some ads will give you money for clicks AND purchases. And still, other ads will give you money just by having folks on your site “exposed” to their ads. No clicks or purchases required. This is known as an impression. Google Adsense is a great way to get your feet wet in ad income. There is no minimum pageview requirement to sign up which is why most bloggers begin with them. As your pageviews begin to grow you will want to find another ad company that will pay a bit more and offers a wider arrange of ads to have shown on your site. For me, this company was and is Mediavine. Mediavine’s minimum page requirement is 25,000 monthly sessions. Now, for my new readers don’t let this number scare you. As long as you are putting out good quality content you will reach this milestone before you know it. I have been with Mediavine for 2 1/2 years and after almost making the move to another company I, in the end, decided to stay with Mediavine. 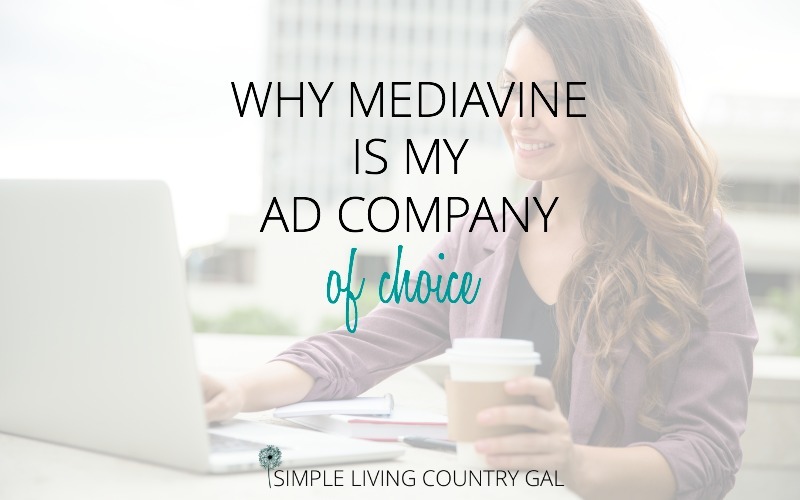 I am sure some folks may question my decision but after doing a lot of research and asking anyone and everyone I know what their opinions were on each company I decided to remain with Mediavine. Basically, once you are approved by Mediavine you are all done. Mediavine takes over from there by implementing and configuring all of your ads. They make sure to find companies that will complement your niche and provide ads that your readers will want to click on. Mediavine’s customer service is stellar which is always my top priority. It is no secret that I am an older blogger so I am the least tech savvy gal out there. Customer service is important to me and if a company does not offer chat I more often than not move on to someone who does. Mediavine not only has an excellent chat service but those folks on chat will bend over backward to help you with any issue you have no matter how small. I liken Mediavine to Cheers, where everybody knows your name. I am on a first name basis with a couple of the gals over at Mediavine and that is just another reason why I love that crew! They take the time to get to know you and most importantly remember who you are and what you write about. 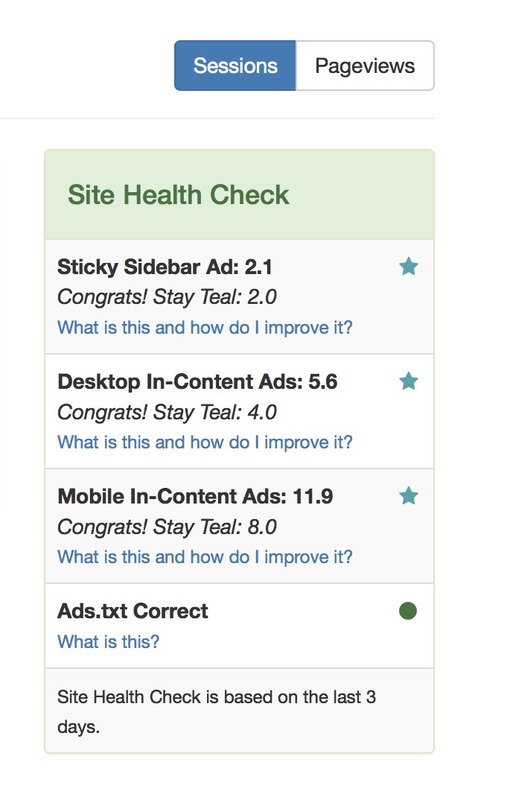 Mediavine has this awesome feature called site health checks found on their dashboard. At any time I can see up to date stats on my blog ads. This really helps me to stay ahead of any issues especially on mobile phones. For my blog, 85% of my readers are on a smartphone so making sure things flow and I have quick load times is really important for me. Tip: At least once a month visit your blog as a reader on your phone. This one tip alone was quite eye-opening to me. I saw so many areas that needed to be changed to make the smartphone user’s experience a much more pleasant one. Although Mediavine loves recipe bloggers you don’t have to be one to get amazing results. I am not a recipe blogger but a homesteading blogger. You would think that Mediavine would not work for me and that is what I thought at first too. However, after seeing the ads that Mediavine was able to put on my site, I can say I am very pleased with what they are doing on my blog. My blog has all-terrain vehicle ads, Crocs, and gardening supplies. All of which do amazing as you can imagine. If you are a recipe blogger then Mediavine is a perfect fit for you and you need to look no further. Their recipe ads are one of their highest converting ads and always seem to do very well. They are an ad management company. That means they auction off your site to advertisers and the highest bidder with the best quality for your site wins. This is one of the things I love about Mediavine. They are bloggers just like us so they get it. They understand what will work best in the least obtrusive way. With fewer ads than most competitors, I get very few (actually I only ever got one) complaints about the number of ads on my blog. To get the same and even better RPM’s with less in content ads is a huge perk and one that needs to be pointed out. I believe that point is all due to the fact that Mediavine is made up of bloggers that understand how important user experience is. Another perk? 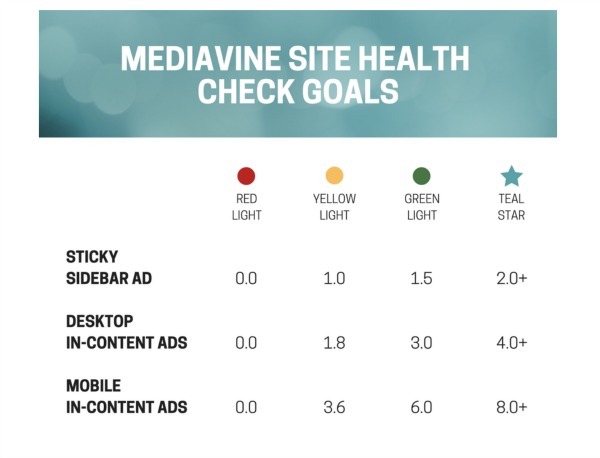 Mediavine only uses advertisers they have tried and tested on their own sites first. How great is that?! If you have videos related to your blog, you can use Mediavine Video Player to host and stream your videos directly on your site, all while monetizing at rates several times higher than YouTube. I myself just began taking advantage of this exciting feature and I am hopeful it will increase my ad income and user experience. You can place your videos in your sidebar or directly in content. 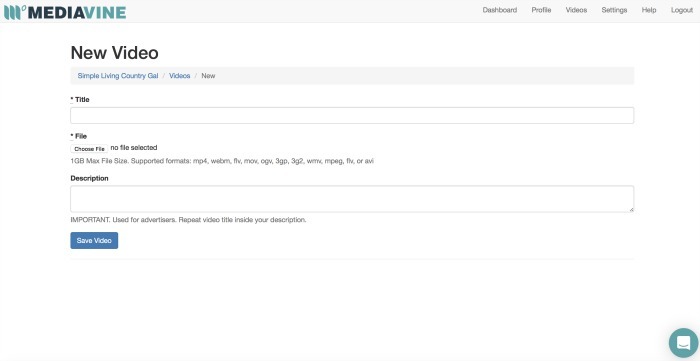 To upload a video you simply create a title and choose the file on your computer. A brief description is also needed so Mediavine can ensure to place relevant ads on your video’s intro. Once saved you will be given a code that you can enter on to any of your posts on the text side. This is a simple way to custom create videos that complement certain posts and will really enhance your reader’s experience. Here is one of my videos so you can see just how Mediavine ad’s work! This is a biggie for me. Mediavine only loads 2-3 ads on site load which keeps my site speed optimum. Instead ads load as the reader continues down your page this means there is little to no impact on site speed. RPM is the page revenue per thousand impressions and I have found my RPM’s to be the same if not better than other ad networks out there. When considering making the move to Adthrive I decided to ask around to other bloggers that were currently with them. My RPM based on page views was the same if not higher than bloggers with that other company. This just goes to show that Mediavine works hard to get each blogger the best quality ads for their specific niche. Like I said before if this homesteading blogger can flourish at Mediavine….then anyone can! I can see exactly how much money I made at 10 am (or sooner) the following day. Not only that but the dashboard gives me my top performing blog posts so I can always make sure my content is relevant and optimized for SEO. More items found on the dashboard. Pageviews by device so I can watch for ease of use and tweak if needed. How many impressions each video is receiving and exactly how much revenue I am making from each. What my revenue is for each ad. My pageviews for the previous month. Site health stats so I can fix any problems as soon as they come up. Not only is there chat and email where you can get help if not instantly well, then pretty darn quick you also get access to the blog, website, and private Facebook group. There is always someone somewhere that can help you when you need it. Not something you find too often in the blogging world today. Okay, confession time, I usually ignore help articles on most sites….but not on Mediavine. The way they explain things is not only easy for me to follow but they have some pretty awesome tips too. Remember Mediavine is run by bloggers just like us and they love to share what they know. Take advantage of that knowledge all for you for FREE. Just jump over here and fill the application. Easy peasy! It may not sound like a perk for me, but it sure is for you! I am writing this post for free simply because I want everyone to know how awesome this group is. No agenda kids. I just want to help my blogging BFF’s make money with a company that is honest works hard and will do what they can to help you succeed! I was wondering whether Mediavine was the best network out there(better than Adthrive) or not, and I was hoping to find out with this article, however this article doesn’t convince me at all. You don’t even share what RPM are you experiencing right now! A good improvement would be to add your RPMs by month(since they vary month to month). Just a suggestion. I understand that for you RPM’s are where it’s at so let’s talk about that for a minute. I can tell you that when I ran numbers with Adthrive and specifically with bloggers I knew with Adthrive my RPM’s were the same if not higher. That was the first red flag that caused me to do more research before making the jump. I had friends raving about their RPM’s but when I went in and looked at my own they were higher and not by just a few dollars either. But you must realize RPM is going to fluctuate and you can’t use my numbers to base your decision on. There are simply too many factors that go into a blog’s RPM and I know for a fact that bloggers in Adthrive do not have comparable RPM’s either. I compared my numbers to 2 others both with Adthrive and I was the same as one blogger but much higher than the other on the same day. So, you see RPM may be a part of your decision but should never be the only factor. Sure we all want to make money but if the ads you have on your blog slow things down to a point that readers are leaving is that ad income really worth it? I think you need to talk to Adthrive like I did then talk to Mediavine and see what they point out as their selling points. Base your decision on the complete picture and not just one aspect. Thank you! I completely agree! I didn’t mean to sound critical, I’m just super torn between Mediavine or Adthrive because they are both so good with very similar RPMs! But checking out what each of their selling points are is a brilliant solution. Thank you! Joe, you were not critical at all! I totally get it…I was in your shoes just a month ago. I was approved and set to make the switch to Adthrive and backed out at the last minute. You are asked to give a 30-day notice and in that time I researched and asked so many questions. I drove my blogger friends nuts! In the end, I stayed with Mediavine and I am thrilled I did. I wrote this post because I could not find anything out there to help me decide. Even though this is not a comparison I am hoping it will help by at least giving an overview of Mediavine and what that company can offer you. Stop back and let me know what you decide! Thank You so much for sharing. I will be entering the wonderful world of blogging soon and I keep hearing about Mediavine and Adthrive. It’s nice that you only need 25k page views to apply vs 100k. I am looking to use video content as well so knowing there are other options available over YouTube and Adsense is awesome as well. Thanks for sharing your experience. Yes, the requirements to partner with Mediavine is much lower but to be clear it’s 25K sessions which translates into 35K pageviews. Welcome to the blogging world, I hope you have much success!! No, they do not kick you out. Once you are in…you are in. 🙂 . They totally understand that traffic fluctuates so no worries there! Congrats on the growing traffic!! Actually, since I went from Google Adsense to Mediavine I saw a pretty big bump in revenue when I switched over. They are amazingly helpful with site issues. They will work their tails off to make sure you make the most money on your site. I have emailed them before asking if there is anything I can do to improve things and they worked with me for several days to ensure I was optimized correctly. Thanks for writing such a great post. I’ve just been approved and can’t wait to join the Mediavine family! You are welcome, Frances! And congratulations!! Yes I was told that too, but then my blog is mostly about homesteading! Raising pigs, goats and chickens and I am getting a HUGE rpm on my content! The best advice I can give is try them out…you can always move to another company if they are not a good fit. Wonderful information! Thank you, Tracy! I just started my blog a few weeks ago. If it’s not a secret how long did it take for you from starting your blog to reach enough traffic in order to be accepted by Mediavine? I don’t have a lot of time to write posts every day. What else did you do to drive traffic to your blog besides writing good SEO-optimized posts? To be honest it took almost 8 months to get enough page views to be accepted to Mediavine. Blogging takes a lot of work, time and money it’s true, but I am a firm believer that if you love what you do, truly love it, then it’s not work….it’s fun! And luckily I am having the time of my life! Here are a few things to focus on when starting out. 1. Promotion, promotion, promotion. Pinterest first, Facebook 2nd. Those two will drive thousands of readers to your blog if done right. 2. Do what you can to grow your email list. (if you need help, check out SS!https://simplelivingcountrygal.lpages.co/7-days-to-a-high-converting-opt-in/ ) And email your readers (no matter how many you have) every single week. Build that relationship! 3. Put affiliate links into each and every single post. Every little bit counts! 4. Write 1 new post a week. Easy peasy! 5. Comment on bigger blogger posts with genuine comments that offer value to the reader. 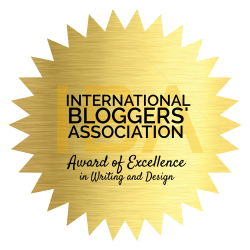 This will get you noticed by readers and the bigger bloggers as well. I have been accepted in Adthrive and they are asking for such access. Does Mediavine also ask such access? Yes, Mediavine also requires access to Google Analytics. I hope this helps, and congratulations!